CAFOD staff in Leeds Diocese have expressed their shock and sorrow over the death of teacher Anne Maguire in a stabbing incident at Corpus Christi Catholic College on Monday. “We express our deepest sympathies to Anne’s family and everybody affected by this devastating incident – including the staff and students of Corpus Christi College and the wider community. “The teachers and pupils at Corpus Christi have supported CAFOD for many years, standing in solidarity with some of the world’s poorest people, and raising huge amounts of money to help transform their lives. “It is tragic and unacceptable that such a popular and dedicated member of that community has lost her life carrying out her teaching vocation. In CAFOD, we know only too well the risks that people all over the world face just for doing their jobs, but no teacher at a school in this country should have to work in fear. 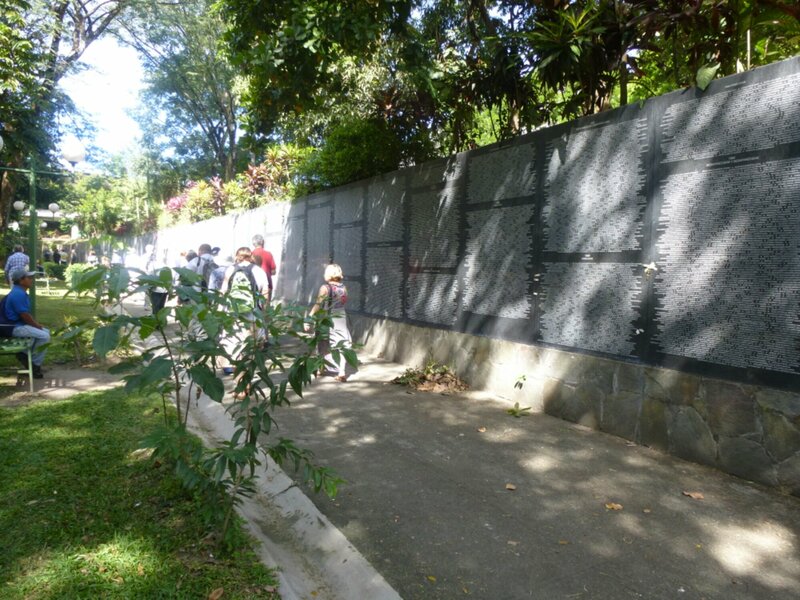 This photo shows the National Memorial for those killed and those who disappeared in the civil war in El Salvador, which ended in 1992. There are over 60000 names inscribed here. 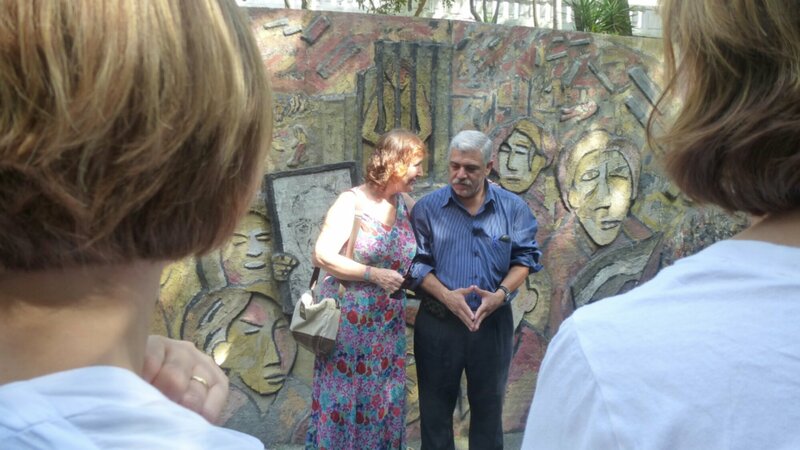 The monument was explained to us by Olivio who, until recently, had been working for the tutela legal organisation – a church-based organisation that worked with people who could not afford legal help to pursue cases arising from the civil war. After the civil war ended the UN Human Rights Commission wrote a report making various recommendations about how to secure the peace now that the conflict had ended. One of these was to build such a memorial. As well as many victims of murder there were many who simply ‘disappeared’. Such a memorial would help make a tangible reality of what had happened for relatives and friends still alive. It would also bring dignity to the victims. However, the Government showed little interest in such a project. When this became clear, local NGO’s(non-governmental organisations) got together to try and obtain funding. At first, they had some big ideas. However,when it became clear that they would not be able to obtain funding, they scaled back their ambitions which enabled the intention to be fulfilled. The monument is set inside a park. There were fresh flowers along the memorial. We were there about ten am and even then there was a small but steady flow of people coming to spend a few minutes of remembrance. It reminded me of holocaust and other war memorials in oth er places that i have visited. The human need to remember (and I think especially if you are the relative of someone who has ‘disappeared’) is very strong. With 60000killed or disappeared there are many thousands more who are having to live with traumatic memories from that period. Yet, as in Sri Lanka, there is little appetite from government to ‘make peace’ – to engage with everyone who has suffered through specific programmes to address psychological and social issue that follow the disaster of any war. There is still a significant role for aid agencies like CAFOD. 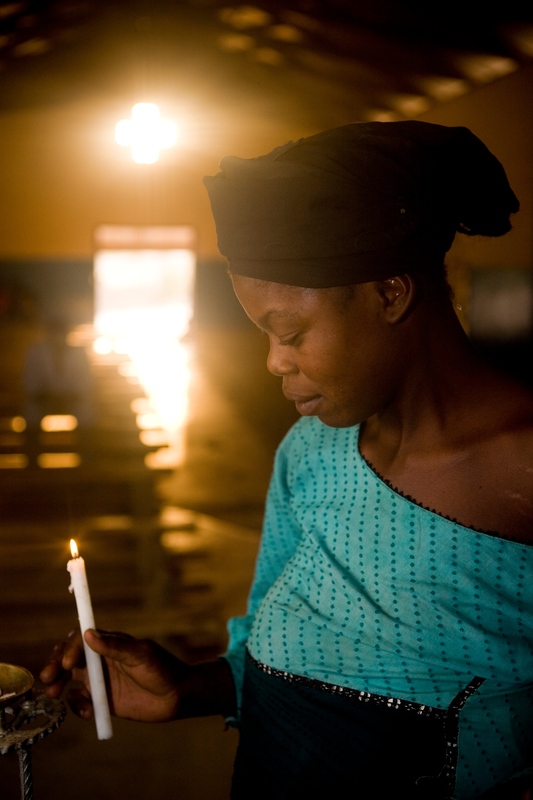 Once again CAFOD Leeds is delighted to organise a memorial mass in celebration of family and friends who have died during the year. These intimate occasions have become a special moment in our calendar and all who come seem pleased to have the opportunity and the time to focus on the goodness and generosity of their loved ones. We are, as always, inspired and comforted and enjoy the opportunity to chat with friends – new and older over a cup of tea afterwards. This year’s service will take place in the Chapel at Hinsley Hall on Friday 8th November at 6.30pm and we look forward to seeing you there. Special thanks go to Fr. Michael O’Reilly, our celebrant and to Kath Sloan, our office volunteer, for playing the organ.